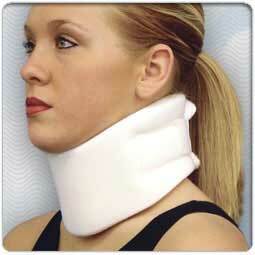 This 3 3/4 Inch universally sized cervical collar fits up to a size 22 1/2 inch neck circumference. Our standard medium density foam with a synthetic cover is utilized to manufacture this value product. 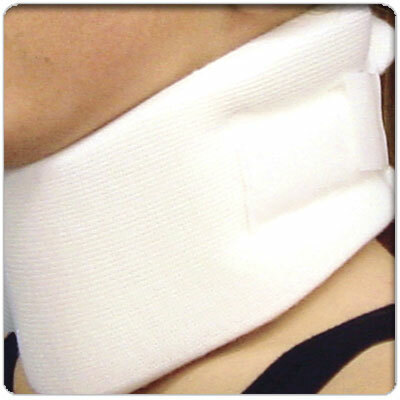 This collar provides excellent support in flexion or extension. Velcro® closure for ease of application. Also available with an additional cover (1003-Extra).